About Us, For the sake of your Health. Our aim is to provide medical care in most pleasant and simplified way. We take our best efforts to explain and educate you about your medical condition and involve you in health care management decisions. We are conveniently located and is easily approachable by Sharjah as well as from Dubai and northern Emirates. 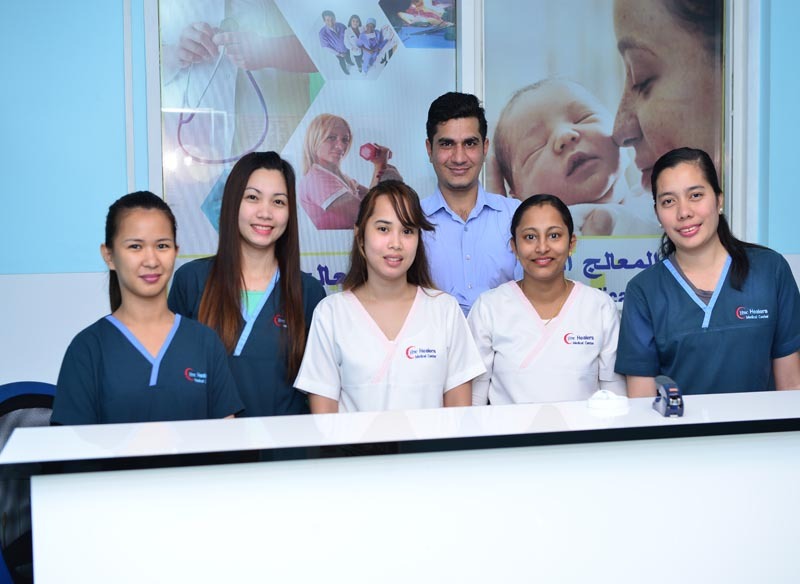 Our highly qualified and skilled team of doctors and nurses with the support staff will be delighted to work with you to enhance your health. We are consulting for Gynaecology since long and we have been very happy with the Doctor advises and their treatment. Thyroid treatment is good and we feel that the doctor for Thyroid treatment is very experienced and gives us valuable advises.